From the world leader in fascinating facts and amusing true stories comes a book about how to feed, clothe, and protect yourself in the wilderness…and might even make you want to avoid anything resembling the wilderness forever. For more than 25 years, Uncle John’s Bathroom Reader has helped you learn amazing things you didn’t know. Now, Uncle John will show you how to do things you didn’t know how to do…and probably should never, never, never actually do, unless you’re in a survival situation and really, really, really need to do. 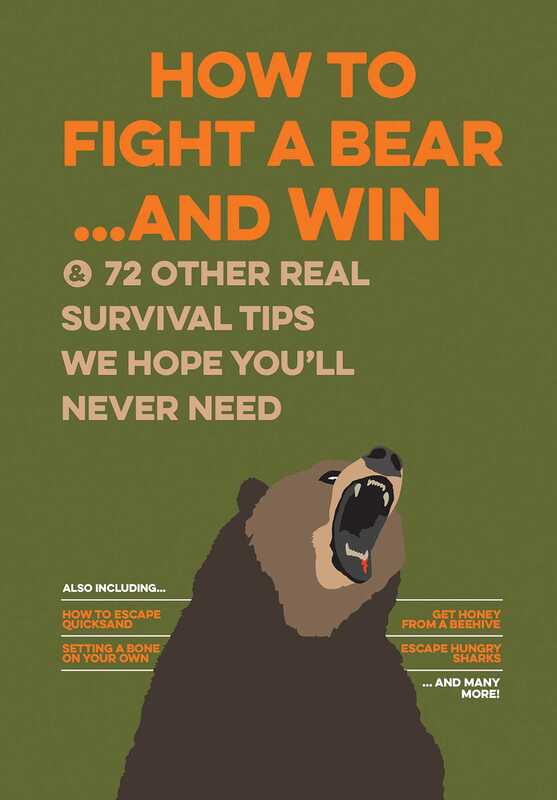 It’s Do-It-Yourself Guide to the Bizarrely Impossible: Survival Edition. A new approach to survival guides and how-to books, this book provides step-by-step instructions for how to make do in any rugged terrain. But if you’re expecting “how to start a fire,” think again. This isn’t the kind of book that will tell you how to make a fire by rubbing two sticks together--it will tell you how to make a fire using a car battery. • And lots, lots more.